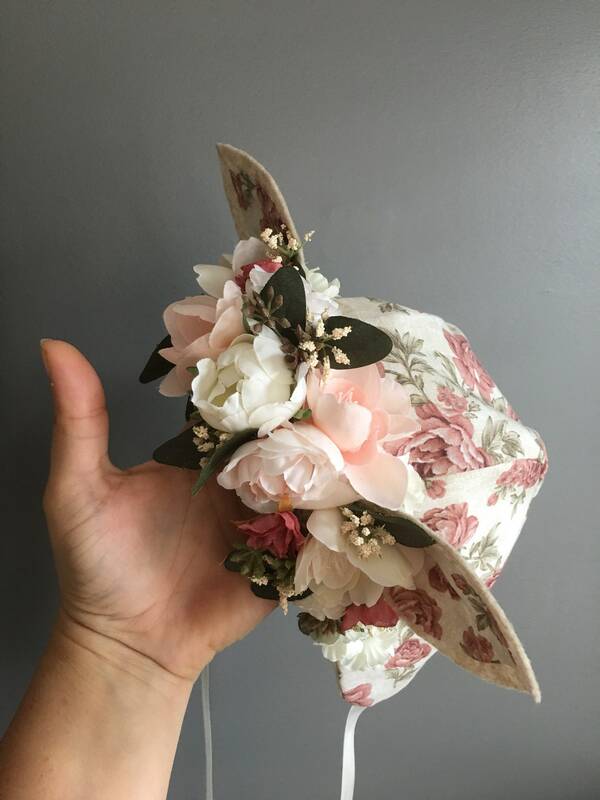 This Flower Bonnet will definitely amaze. It is a show stopper and a photographer's dream. 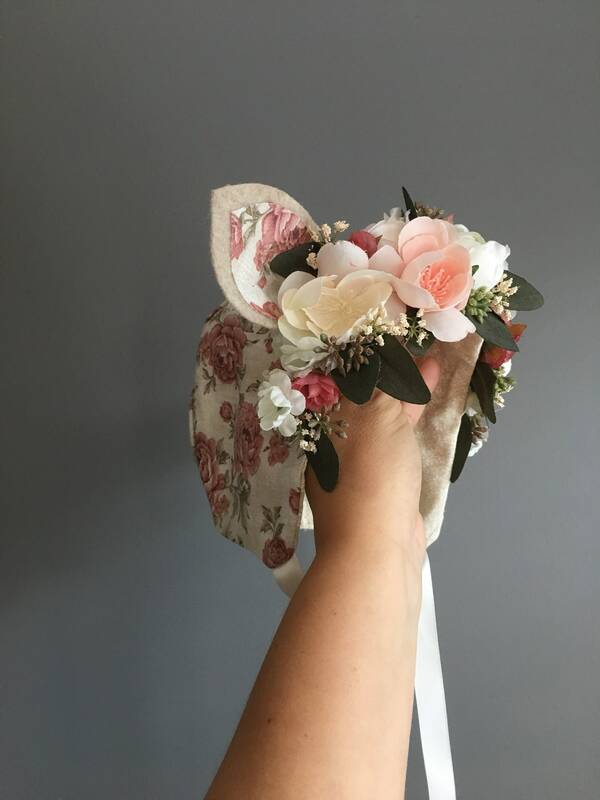 Fabric Flowers line the opening of the fully lined bonnet with Greenery accents mixed into the flowers. 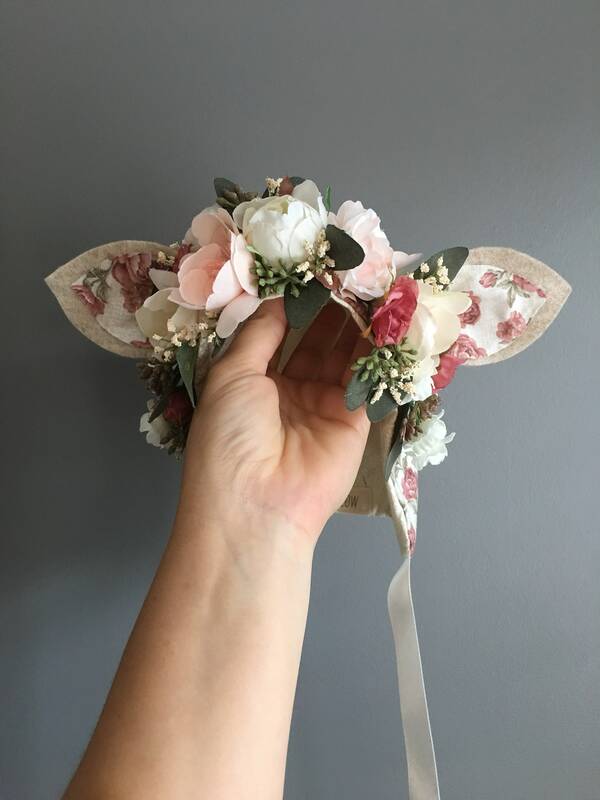 Felt ears with printed inner ear make this bonnet a one of a kind keep sake that is too adorable for words. 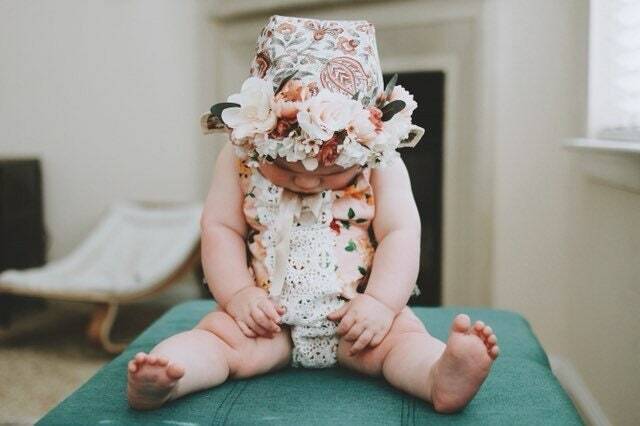 This Flower Bonnet is perfect for photo shoots and Halloween or 1st Birthday Parties.